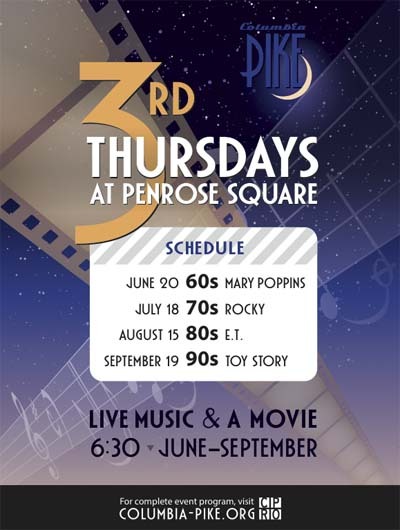 Please join us tomorrow, Thursday 7/18, for live music, a movie and lots of fun at the new Penrose Square. The free and family friendly event will bring you back to the decade of the 70s. Our 70s tribute band "a Bad Hair Day" will begin playing at 7:00 pm and at 8:30pm we will be screening the 1976 classic Rocky, starring Sylvester Stalone.